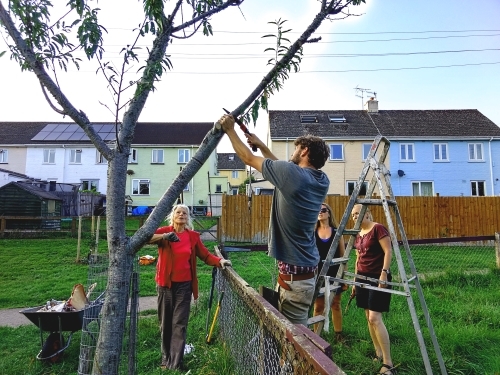 Join Incredible Edible for tree pruning and tree care of the fruit and nut trees planted throughout Bridgetown. Meet at Elm walk, by the Elmhirst playing field on Weston Lane, Bridgetown, Totnes. From there we will visit the many sites where trees have been planted, and perhaps plant one or two more where trees have died. Bring gloves, secateurs if you have them, warm clothing if it's needed! Refreshments provided for a warm drink and snack together at midday. Look forward to seeing you there. Bring any friends or anyone you think would enjoy being part of this community of fruit and nut tree guardians.